I know that this post it's past the expiry date, still....Wanted to show you guys the earring I wore for my engagement. 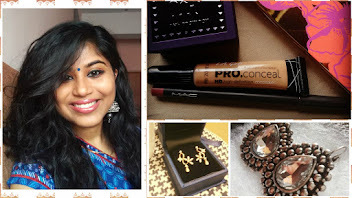 Initially I wanted a simple, no gold look (See, we mallus have a deep connection with gold). 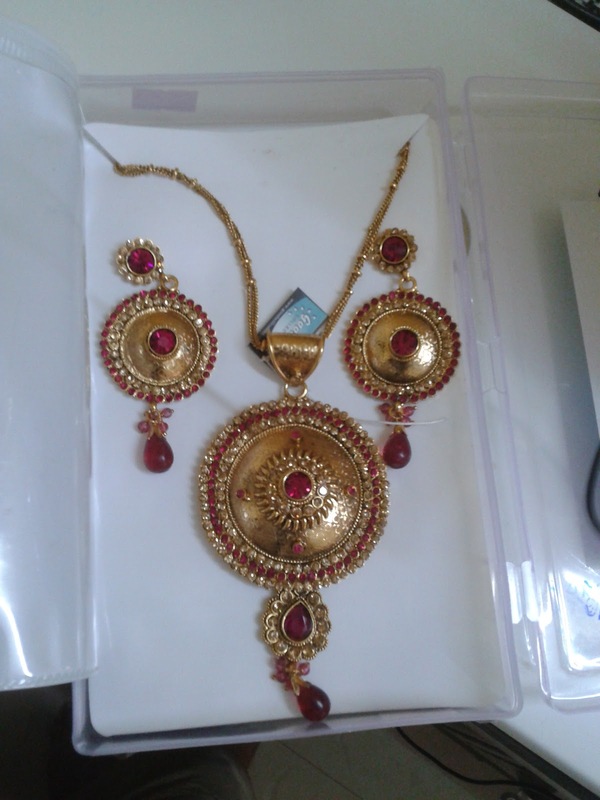 My dad rings me up almost every other day and asks me the day's gold rate, its a ritual of sort ..we mallus can't live without gold. Every parent would want to touch the 100 sovereign mark, it is the ultimate status symbol and almost everyone from close family members to office mates are seen counting the necklaces or bangles of the bride. One of my cousins wore a heavy diamond necklace on her wedding and the immediate family knew that the price of the set was somewhere around 10 lakhs, but that didn't stop the oldies from commenting on how bare the girl looked. Someone even went ahead and asked her dad directly "Who are you saving for?. Look at the poor girl.... few sparkly stones. You shouldn't have taken you stinchy behavior on your own daughter". Now back to my own engagement story...the day before, I was ready with my accessory: A simple chain with statement pendant, similar earrings, stack of gorgeous bangles on one hand and simple 2 piece on other. My grandma refused to accept the simple look, she insisted that I wear another gold chain. After 1 hour of brain storming, I agreed and decided to wear the family heirloom kashumala ( Roughly translates as money chain:P). Being a mallu, I guess I should introduce you to one among the most ancient heirloom necklaces. Some of my friends didn't like the simple look. What do you guys think?. Is the accessories too simple for a bride to be? 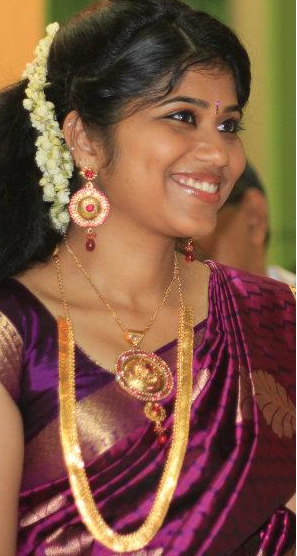 PS:- I wore a purple silk saree, with jasmine flowers like a traditional mallu bride to be. You look very pretty and elegant. 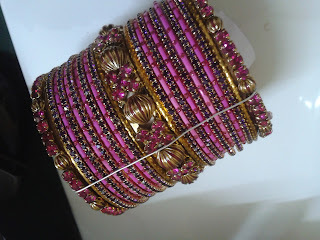 The jewelry would appear too 'simple' by Mallu standards, but at least you were comfortable! I felt pretty much trapped under gold on my special day!! I think you look elegant but that saving money comment was ultimate insult to the sparklies! ur luking so fab and dat dimple on ur cheek is making u more pretty. I like ur simple yet very elegant n graceful dressing up. No OTT jewellery and makeup!! i hate Gold but loved ur traditional Mallu long neckpiece. i would like to own something like dis. No diamonds for me..
Wow you call that simple. In my mind it is really elegant and a lot of jewelry on you. Very nice. Thanks for following. Following back. 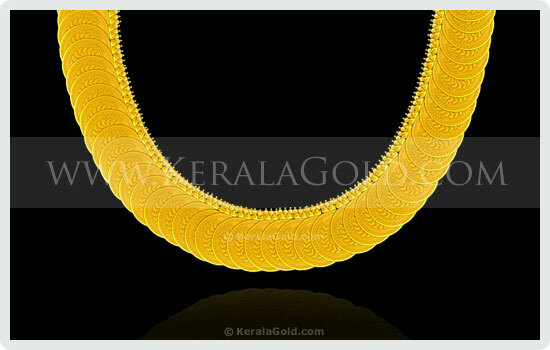 @Emm Sparklies have 0 value here in Kerala..it's all about GOLD ,GOLD and more GOLD! !